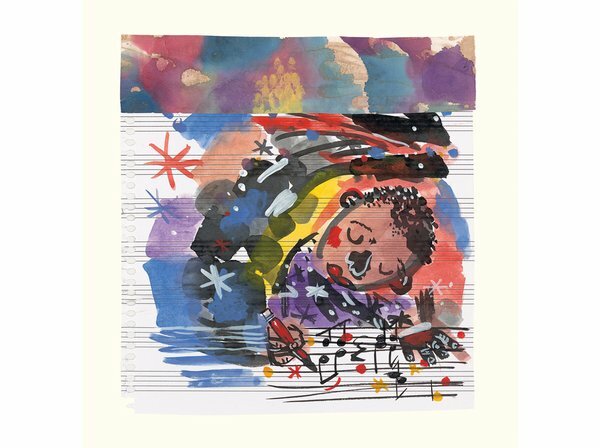 I was wandering around my local library, picking my way through the biographies in the children’s section, when I came upon a surprising picture book about the great jazz musician, Sun Ra. You could have knocked me down with a feather. I love Sun Ra, but I never expected to find a picture book about him. 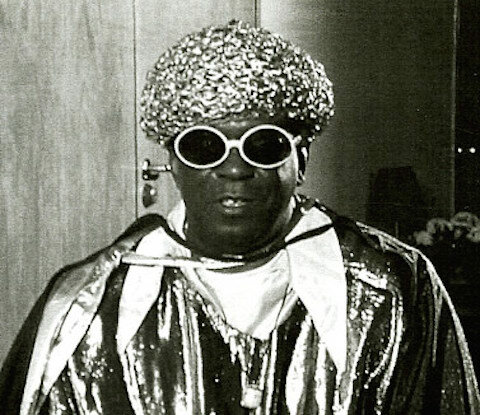 Though Sun Ra’s music has a small but loyal following, he’s always been on the fringe. A little “out there,” so to speak. Not of the mainstream. 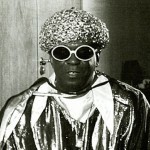 In fact, Sun Ra himself contended that he was not from this planet. He claimed that he was from Saturn. Clearly, this was a work of love for Chris Raschka. Here’s the book trailer — check it out — and I’ll continue below. One nice thing about Chris Raschka is that he’s already won two Caldecott Medals. And the terrific thing is that after you win awards like the Caldecott Medal — the highest award for illustration in children’s literature — then people kind of let you do what you want. 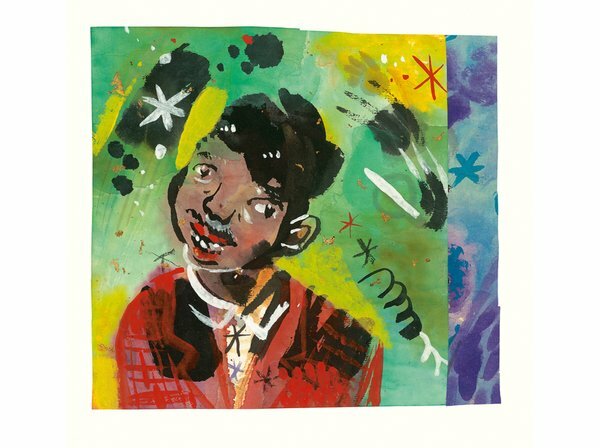 The artwork is vibrant, colorful, free, spontaneous, wildly alive. In other words, it magnificently matches its subject matter. Sun Ra always said that he came from Saturn. Now, you know and I know that this is silly. No one comes from Saturn. If he did come from Saturn, it would explain so much. Let’s say he did come from Saturn. Well, on May 22, 1914, Sun Ra landed on Earth. I love a book when it clearly comes from a personal space, not from a cold, calculated look at the marketplace. Raschka created the book that was in his heart; I know this is true without ever having met the man. It is a celebration of the true artist, brave enough to go his own way. Two men, in fact, Sun Ra and Chris Raschka, who followed the beat of a different drummer. Because that’s what real artists do. They create the work and let the rest of us sort it our for ourselves. I’m here to say, thank you, Chris Raschka, for this incredible gift. I’ll close with a clip from Sun Ra himself, created during his time here on Earth. Open your ears, your heart, your spirit.